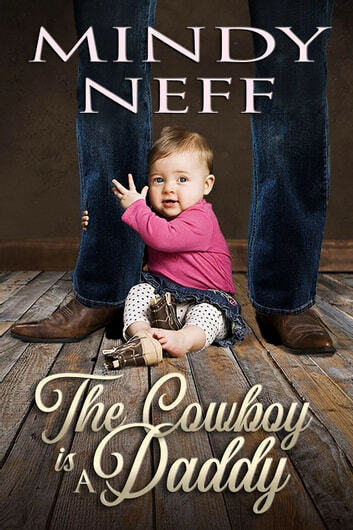 First baby of the New Year…delivered by a cowboy! When Wyoming cowboy Brice DeWitt placed an ad for a housekeeper-cook at his Flying D Ranch, he expected a sturdy, mature woman—not a petite, pregnant applicant who was about to deliver on his doorstep. Madison Carlyle needed his protection—and his name. But an isolated Wyoming ranch in the middle of winter was no place for a new mother and child. If he let them stay, he risked his heart. But if he sent them away, would he miss his best chance at having the one thing he'd always wanted? A family? A Romantic Times Top Pick and W.I.S.H. Award recipient for outstanding hero. "…A true delight and Mindy Neff makes it work on every level." --Romantic Times 4 ½ GOLD Medal! 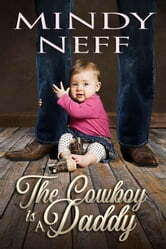 "…Mindy Neff gives us a hero to die for...and a story chock full of touching scenes that will wrap around your heart. Brilliant...a marriage of convenience with a fresh new twist!" --WCRG on AOL Reviewer Board. What a joy it was to read a wonderful story that just touched on what happens in the bedroom. Really enjoyed the book thoroughly. Highly recommended. Nice book to read. And a great story. Love it very much. What a wonderful story. They just fit together so perfectly. A little baby too. One of the best books I’ve read in a long time. Almost impossible to put down. Sweet story but not really a love story.